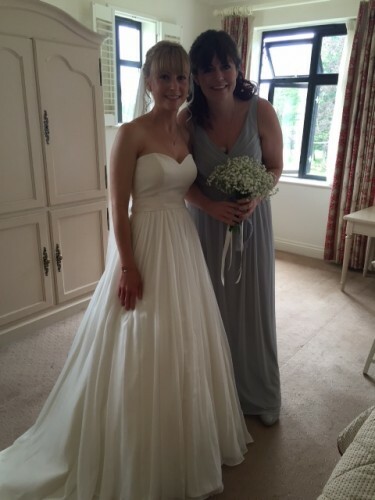 Just wanted to say a huge thank you for all your help choosing and fitting my beautiful Ivory and Co wedding dress. I was so pleased with it and it made me feel like a princess! Your service was wonderful and I would definitely recommend you to any of my friends getting married. Special thank you to Ophily who was extremely helpful and lovely when choosing my dress, and to the nice lady who altered my dress for me and also to Sheila for being so lovely.